The Clarion Hotel Anaheim Resort is adjacent to the Anaheim Convention Center, the largest Convention Center on the West Coast. 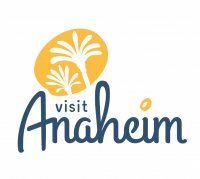 Guests of the Clarion Hotel Anaheim Resort stay within a 2-minute walking distance of the Anaheim Convention Center. Complete business services and high-speed computer access are available 24 hours a day to assist you with all of your convention needs. Our award winning, Clarion Anaheim Hotel Resort is a seamless blending of style, comfort and convenience, offering the perfect choice for meetings from 5 to 500. With nearly 7000 square feet of flexible function space available, we can accommodate corporate meetings, weddings, or any event needing meeting space. Our highly experienced, knowledgeable, and professional staff will assist you with planning and coordinating your meeting details, and AV services to help you make the perfect presentation. Making your meeting, convention or wedding a worry free event is our specialty. Whether it's a meeting for 5 or a wedding for 500, the Clarion Anaheim Hotel Resort is your event headquarters. "During fall 2012, the Clarion Hotel in Anaheim served as the venue for an annual event of our organization. The services provided by the Clarion staff and the care given to the attendees was superb. Cathy Dutton, Director of Sales, and Emily Quinn, Catering Coordinator, extended themselves by attending to details; moreover, they offered ideas and suggestions to improve the menu and the event. The hotel met each request for the event professionally and with a smile. Many attendees noted the excellence of the dinner and hors d'oeuvres provided by the chef and food servers, superior to meals I have eaten at corresponding events in other venues. I have already booked a larger event at the Clarion Hotel for winter 2013." "The dinner was EXCELLENT, from the hors d'oeuvres to the dessert, right down to the new linens. The menu was probably the best I've ever had at a banquet. Our table was trying to decide all evening what the fowl was…maybe a Capon hen? Well, whatever it was it was delicious and not a drop of food was left on the 8 plates at our table. Your staff was outstanding, very polite and very efficient."